Seamlessly migrate key data between Sage Intacct and Coupa. The Sage Intacct-Coupa Integration Pack enables the migration of accounts, vendors, invoices and payments between Sage Intacct and Coupa. This pre-built integration allows for a seamless procure-to-pay process by automating the migration of key data between both solutions. With organizations using best-of-breed technology for business functions, having a tight integration to your financial tool has never been more important. Accounts or vendors that are added/updated in Sage Intacct are automatically added/updated in Coupa. 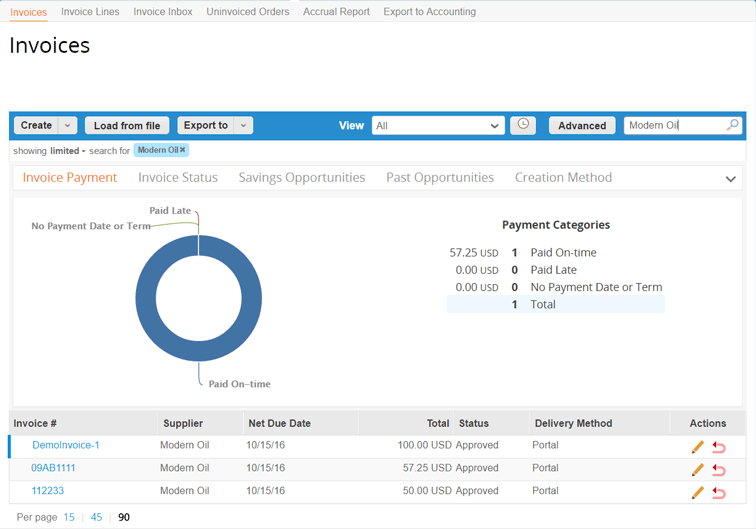 When a vendor invoice is received and approved within Coupa, it is automatically migrated to accounts payable within Sage Intacct. Payment status updates are then updated from Sage Intacct to Coupa. Optional Expenses feature integrations Coupa Expenses approvals and payments with Sage Intacct and Coupa. The Sage Intacct-Coupa Integration Pack can run on demand or be set to run on a schedule. Focus on high-value strategic work by eliminating the need manual file transfer, allowing your team to avoid avoidable mistakes and maximize productivity. Partner with an experienced team to implement quickly by using proven software that is flexible enough to work in any situation. Access to the complete Armanino integration ecosystem – an end-to-end environment to accommodate your full business technology needs. Reduce risk and your IT burden with year-round hosting, monitoring tools, and support. Choosing the right implementation partner is even more important than choosing the right software. Armanino is a premier Sage Intacct Value-Added Reseller (VAR) Partner and has certified Coupa integration experts. 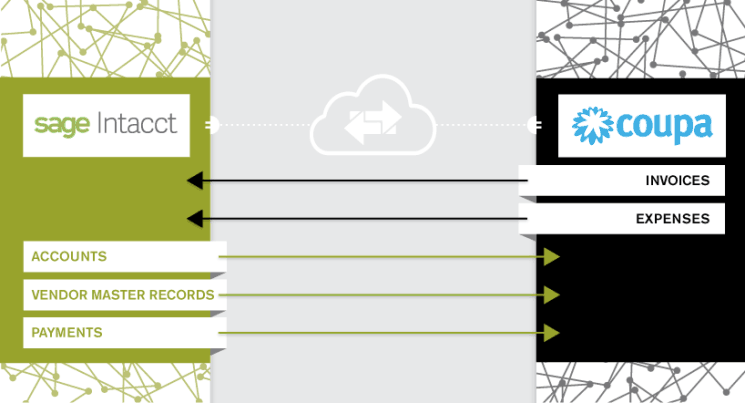 Armanino’s cloud integration solutions offer near limitless connection options. Our industry expertise and experienced team of finance professionals allows us to create both commercialized point-to-point solutions and enable unique proprietary and industry-specific integration ecosystems. We have a dedicated team of integration consultants and developers who have completed more than 400 projects. With nearly 100 different system connections, Armanino’s primary focus is on our clients’ holistic needs rather than the specific systems in place. "We’re a big proponent of cloud because we can move fast and integrate all these systems to work together to get the best-of-breed landscape. It’s taking the friction out of the system so people can be more scalable, not only in finance, but anybody who’s an end user so they can easily capture what they need very efficiently and get it through the approval process quickly."